Diving Bell T-Shirt Sand Color. Use the code freeshipping at checkout for a limited time! 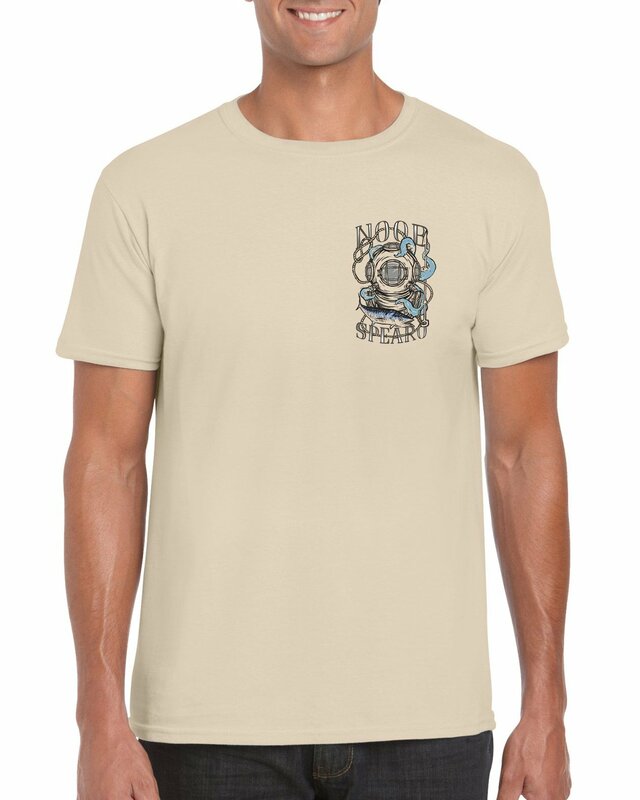 Welcome to our all new Noob Spearo T-Shirts. Our new range of spearfishing apparel. This shirt is a unique sand color with artwork combining the old school diving bell helmet with a Spanish Mackerel and Octopus. This shirt is a unique sand colour with artwork combining the old school diving bell helmet with a Spanish Mackerel and Octopus.